Progressive Conservative MLA Jake Stewart became the sixth candidate for the party leadership on Thursday, May 26. He made the announcement to a crowd of more than 150 supporters at the Blackville Municipal Park. In his speech, Stewart said that he would change the Official Languages Act to eliminate the role of the commissioner for official languages. And he said he would also do away with job-creation subsidies for businesses, such as grants, loans, and payroll rebates. He said his proposals reflect the views of New Brunswickers and he was tired of seeing both the Liberals and PCs protecting a status quo that is not working. 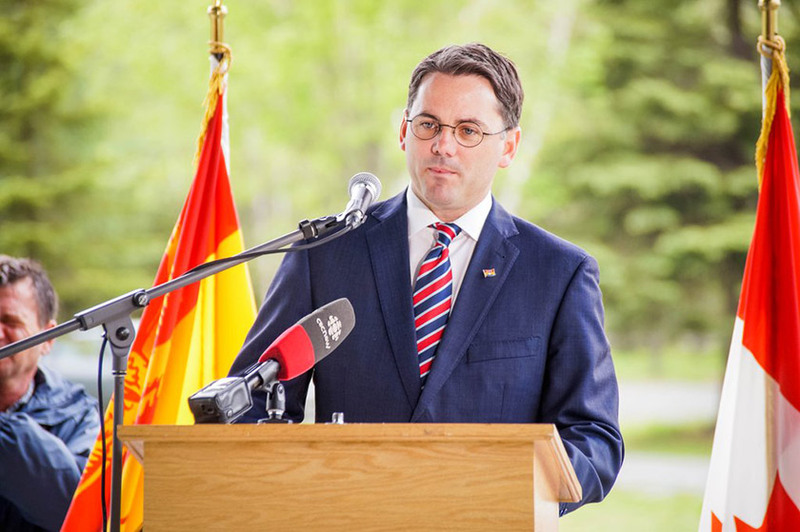 “My job here is not to go around New Brunswick and celebrate the Progressive Conservative Party’s decisions for the last 80 years or defend the ones that have not been good decisions,” Stewart told reporters in Blackville, his hometown. Stewart, a second-term MLA representing Southwest Miramichi-Bay du Vin, admitted he may not be a front-runner. Stewart joins Blaine Higgs, PC MLA Brian MacDonald, former MP Mike Allen, former Saint John Mayor Mel Norton, and Moncton lawyer Monica Barley in the leadership race. Party members vote on October 22. Stewart told reporters he waited to decide on running to see if any of the other candidates would raise the issues he considers important. “I just didn’t hear where they were going to get into the real tough decisions for New Brunswick,” he said. Watch his full announcement below.